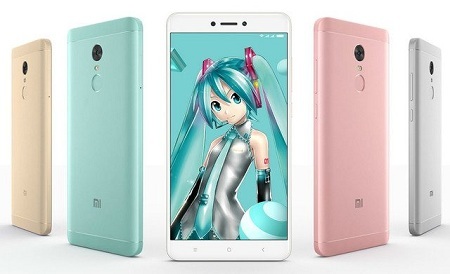 Comparison of smartphones Xiaomi Redmi Note 4 and 4X. Which'sbetter? Today we’re going to talk about Xiaomi line and difference between Redmi Note 4 and 4X. Remember, if the name has a Note prefix, it means that the device has a large screen (not less than 5.5 inches); the word Redmi tells us of a budget class. Thus, Redmi Note 4 and 4X are budget devices with large displays. There is a slight difference between them. The success of the smartphone Redmi Note 4 was the reason why Xiaomi developed other modifications of this phone. So there were different versions of this model, including Note 4X. Initially, this was developed for sale in India, but it also can be found in Russia, Europe and USA. The main distinguishing feature of this model is the processor – Snapdragon 625 (MSM8953) with the built-in video core Adreno 506. Also, it presents only with 32 GB of memory and 3 GB of RAM. Well, the external design is different. Note, that the number of cores plays a secondary role in performance, so don’t chase it. But this particular chip is good. It scored 85,600 points in the Antutu performance testing program. For a budget device, this is an excellent indicator. Therefore, the gadget will be able to run modern games (all at the beginning of 2017). Redmi Note 4X uses a fundamentally different chip from another manufacturer – Qualcomm. This is Snapdragon 625 with built-in video core Adreno 506 and 8 cores with frequency of 2 GHz. The device differs relatively high performance and low power consumption (14 nm). In part, this means that the phone is cold and even under heavy loads, it won’t be warmed up. This chip scored 60-61 thousand points in the program Antutu and in theory it’s less productive than the Helio X20. It’s logical cause weak Cortex-A53 cores are installed in this processor. Even in the Redmi Note 3 Pro, which came out a year ago, is used a more powerful Snapdragon 650 CPU with two Cortex-A72 cores. But in Snapdragon 625 all the cores are weak (Cortex-A53). Although it’s worth to note, the device will run all games at the beginning of 2017, and the OS works without hanging and braking. So wins the usual Redmi Note 4 without the prefix X. The CPU is more productive and due to a larger number of cores the phone should cope better with multitasking. This is a good advantage, because the “pattern” colors of Xiaomi (gray, gold, black) are already fed up. There are no other differences. The gadget is durable; the buttons are located standard – on the right sidebar. From the top you will find a headphone jack, an infrared transmitter and a microphone for noise reduction. We note the good quality of phones, good 2.5D Scratch-resistant glass, and excellent sensor performance. It’s difficult to find fault and seek faults. No wonder this phone is actively sold in all markets and collects positive feedback.